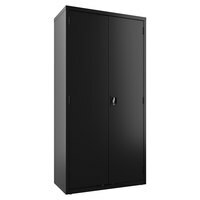 You can choose from office cabinets with several different features, including locks, casters, and open shelves, which are perfect for displaying items. 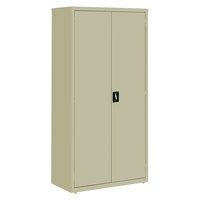 Provide your space with break room cabinets by selecting small units to hold coffee or food supplies. You can even find wall-mounted or freestanding cabinets to best suit your available space. So no matter if you’re searching for a solid color or wood grain, tall or wide, we carry so many different styles of office cabinets that you’re sure to find something to suit your needs. 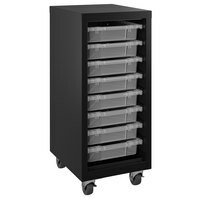 Also make sure to check out other great items from Alera, Basyx, Bush Business Furniture, FireKing, Hirsh Industries, HON and Iceberg. 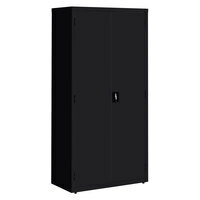 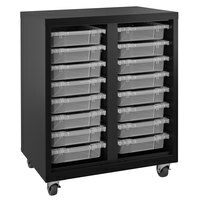 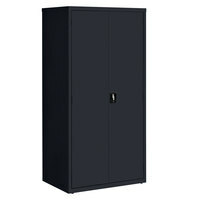 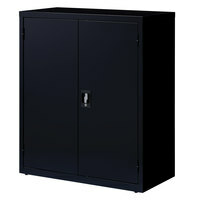 Hirsh Industries 22602 Black Mobile Cabinet with Clear Bins - 30" x 18" x 36"
Hirsh Industries 22604 Platinum Mobile Cabinet with Clear Bins - 30" x 18" x 36"
Hirsh Industries 22606 Black Mobile Tower with Clear Bins - 15" x 18" x 36"
Hirsh Industries 22631 Putty Wardrobe Cabinet - 36" x 18" x 72"
Hirsh Industries 22632 Black Wardrobe Cabinet - 36" x 18" x 72"
Hirsh Industries 22633 Light Gray Wardrobe Cabinet - 36" x 18" x 72"
Office cabinets are a space-saving storage solution for a variety of settings, including schools, healthcare facilities, and office spaces. We carry both freestanding and wall-mounted models of varying shapes, sizes, materials, and colors, so you can choose the cabinet that works best for your facility. 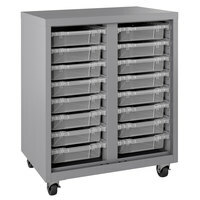 Best of all, some of these units feature drawers, locks, or casters, making them versatile enough for a variety of uses. 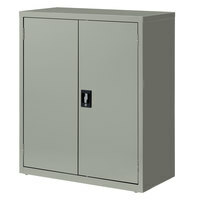 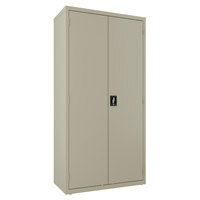 To explore related items, check out our lockers, filing cabinets, and office chairs. 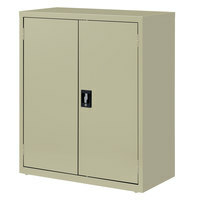 If you're wondering where to buy hirsh industries office cabinets, we have a large selection of hirsh industries office cabinets for sale at the lowest prices.